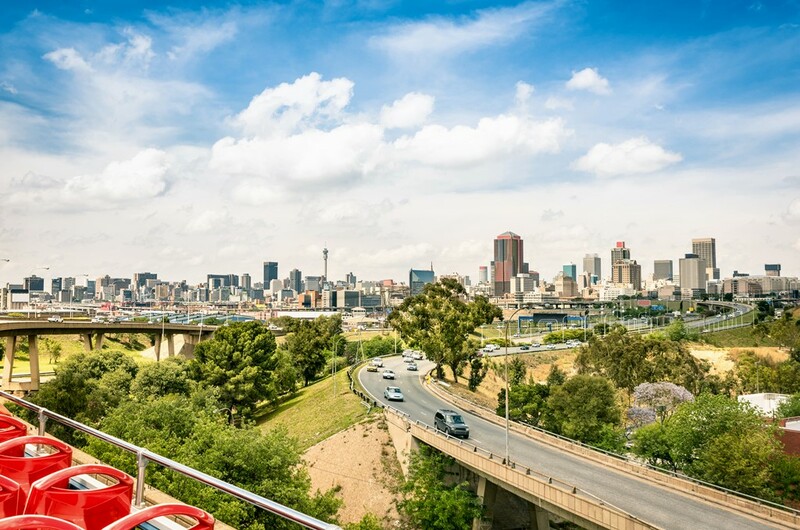 Johannesburg, South Africa is set to be the most popular destination city in Africa for the second year, followed by Cape Town, according to the 2014 MasterCard Global Destination Cities Index. Johannesburg expects 4.3 million international overnight visitors in 2014, a 4.9 percent increase on last year’s 4.1 million visitors. The world class African city also comes out tops in Africa in terms of international visitor expenditure, with travelers expected to spend a substantial US$3.2 billion in 2014, compared to US$3.06 billion last year. “The City of Gold’s status as the most popular destination city among visitors to the African continent is significant for the economic prospects of the city. Visitor spend is an increasingly important source of revenue for the city’s hospitality, retail, transport, sports and cultural sectors,” says Mark Elliott, Division President, South Africa, MasterCard. Now in its fourth year, the MasterCard Index of Global Destination Cities ranks 132 cities in terms of the number of their total international visitor arrivals and the cross-border spending by these same visitors in the destination cities. It also gives visitor and passenger growth forecasts for year 2014. The 13 African cities ranked in the Index are Johannesburg, Cape Town, Durban, Cairo, Casablanca, Accra, Nairobi, Beira, Dakar, Kampala, Lagos, Maputo and Tunis. Most visitors to Johannesburg will again travel from London. This year, visitors from that city will increase in number by three percent (444,000 in 2013 compared to 458,000 in 2014). Londoners will spend an estimated US$462 million while in Johannesburg, US$20 million less than they did in 2013. 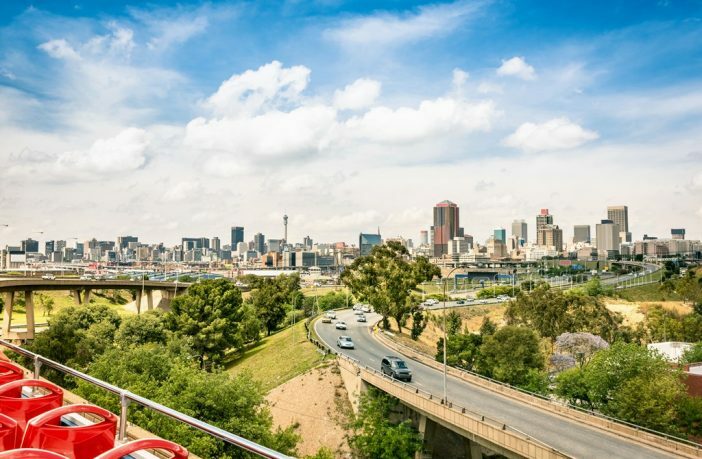 Frankfurt (305,000 people), Harare (269,000 people), Maputo (204,000 people) and Paris (198,000) round out the top five cities sending visitors to Johannesburg. Parisians are expected to spend the most (US$337 million), followed by visitors from Frankfurt (US$159 million), Harare (US$140 million), and Maputo (US$115 million). “As Johannesburg we welcome the announcement as it cements our City’s position as the economic capital and the heartland of trade and economic activity in Africa,” says Executive Mayor, Clr Parks Tau. “We are proud to be the home of most local and multinational companies in banking, finance and industry due to our world class economic and social infrastructure which is essential to big business.” “Johannesburg is a global city that is trusted to host major sporting events, meetings and summits having just recently hosted the C40 Cities for Climate Change Summit and soon to host the prestigious Africities Conference – the continent’s premier gathering of local authorities in Africa,” Tau elaborates. “We also believe that visitors continue to flock to Johannesburg because beyond business and meetings, it is a truly cosmopolitan and vibrant destination where various cultures live and celebrate side by side; A City rich in music, fashion, arts, heritage and culture.” Trailing Johannesburg by a substantial margin, Cape Town is set to be Africa’s second most visited city. The Mother City is expected to receive 1.6 million international overnight visitors in 2014, who are likely to spend US$2.3 billion. This is a 5.5 percent increase in visitor numbers and an impressive 10 percent increase in spend compared to 2013 (US$2.1 billion). “Year 2014 Index points to a continued strong demand for and interest in air travel, both for business and personal reasons. Having Johannesburg and Cape Town in the top two places in Africa is a great achievement for South African Tourism,” Elliott says. Rounding out the top five most visited cities in Africa are Cairo in Egypt (1,35 million visitors spending US$804 million), Lagos in Nigeria (1,33 million visitors spending US$710 million), and Casablanca in Morocco (0,98 million visitors spending US$737 million). The world’s top destination cities For the third time in four years, London is the destination of choice for travellers. London will receive 18.7 million international visitors in 2014, followed by Bangkok (16.4 million), Paris (15.6 million), Singapore (12.5 million) and Dubai (11.9 million). These cities are benefiting from the surge in international travel fuelled by an expanding middle class, innovations in luxury travel and the rising need for business travel. “The Index recognizes cities as important business, cultural and economic hubs. This is where MasterCard comes in. Every day, we help consumers and businesses maximize all of the travel opportunities available to them, including a safe and secure way to pay no matter where they are,” says Elliott. Travellers at the ever busy OR Tambo International Airport in Johannesburg, South Africa. In another study conducted by the global Good magazine, Johannesburg scored the highest points in all categories the publication uses to rank cities. These included categories such as being a Hub of Progress, City Engagement, Street Life, Defining Moments, Connectivity, Green Life, Diversity and Work Life Balance. The metropolitan City is one of only three African cities to feature in the magazine’s Top 20 list. The others included Nairobi in Kenya, which is perched at number five, and Dakar in Senegal is in position nine.The results were based on data culled by the magazine’s editors and solicited from a network of global correspondents. Joburg Executive Mayor Parks Tau says: “Indeed, this is a humbling accolade. Particularly because it comes in less than a month after the 2014 MasterCard Global Destination Cities Index announced us, the City of Johannesburg, as the most popular destination city in Africa for a second consecutive year.” “This shows that our efforts as a city at work to promote socio-economic transformation are making an impact, not only locally, but also internationally, “he says.”As we move towards the commemoration of the passing of our beloved freeman of Johannesburg, Nelson Mandela, on December 5, I am reminded of his words today that indeed, these surveys are testament to the City being a ‘centre of our country’s prosperity’, providing that much needed opportunity to create a better life for all who live and visit it,” Mayor Tau says. The Good magazine’s editors describe the Good City Index as “a celebration of the 50 cities around the world that best capture the elusive quality of possibility”. 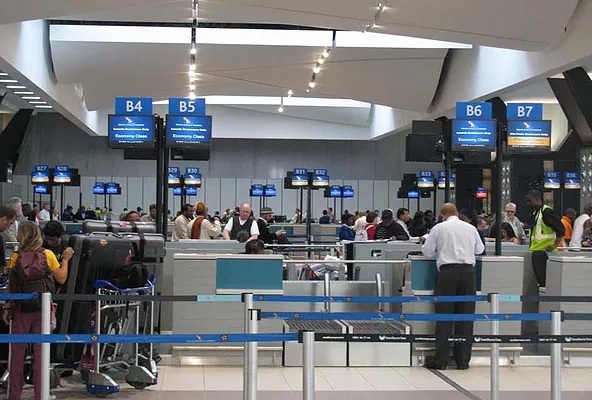 Johannesburg-based writer Sylvia EK McKeown says in her commentary that “it’s to Johannesburg’s advantage that, distracted by Cape Town, people don’t seem to pay as much attention to it as they should”. By occupying the second spot on the Good City Index, Johannesburg has outclassed cities such as Mexico City (third place), New Orleans in the United States (seventh), Montreal in Canada (12th), Melbourne in Australia (14th), Dubai in the United Arab Emirates (19th) and Seoul in South Korea (20th) as far as the creation of inspiration is concerned. Paris occupies the 22nd spot, Cape Town 25th, Atlanta 30th and Warsaw 50th. Some of the things that swayed the votes of judges in Johannesburg’s way include the urban regeneration projects the City is undertaking, such as bike lanes in Soweto, a mixed-use development in the once-rundown area of Newtown and the Joburg Art Fair. Writes McKeown: “Not that there aren’t many systemic problems in Joburg: crime, poverty, dubious political spending, and a lack of infrastructure and proper sanitation, just to name a few. But the city is good at finding new, sometimes unorthodox ways to fix itself – like freeing owls to hunt rats in the townships and starting a youth photography skills development programme named ‘I was shot in Joburg’.”One of the things that stand out for her in the city is Braamfontein, “the perfect illustration of a racially integrated South Africa; a breeding ground of creativity and innovation packed full of galleries, artist spaces, bars and start-ups focused on making meaningful connections with the man on the street”. Featuring high on the list of aspects that make Johannesburg an inspiring city, include the Inner City Metro; the Newtown Junction; the City’s creative solution to rats infestation in Alexandra; the 5km bicycle track and sidewalk in Orlando East, Soweto.Projects such as the Diepsloot Mountain Biking Academy; Dlala Nje, a space encouraging children from three of Joburg’s most insular, impoverished, and misunderstood areas in the inner city to come together; and Maboneng’s newest bar have also raised the bar for positive ratings of the City.